The kids also learned handy visuals, like a remote control for negative thoughts so you can switch channels in your head. 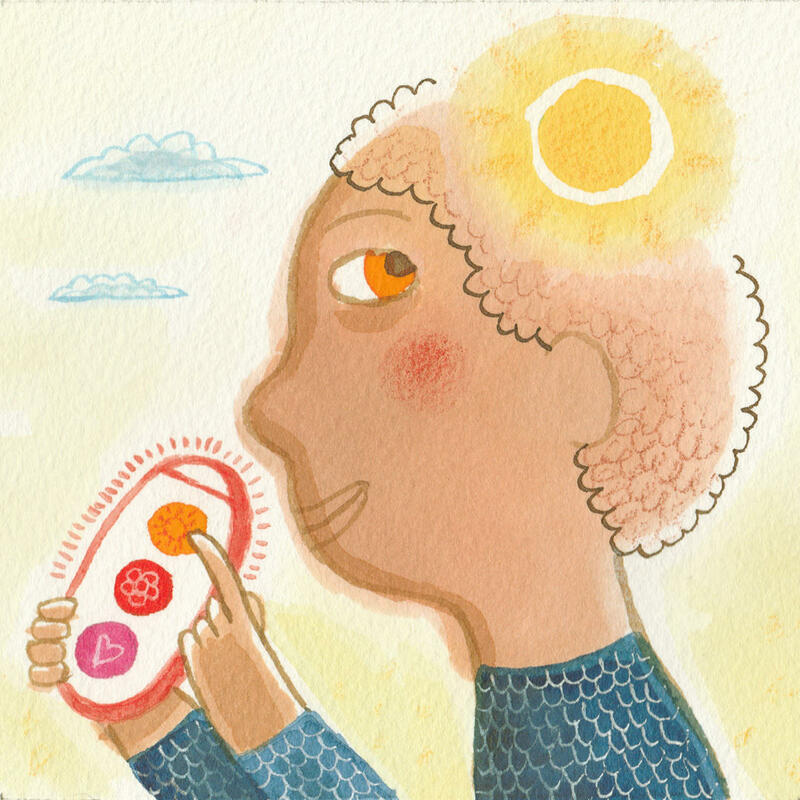 The Resilience Builder Program teaches young students techniques for handling tough emotions, like visualizing a remote control for thoughts so they can switch from negative to happier feelings. Resilience, grit, emotional intelligence - they've been hot topics in parenting and education circles for years. And research backs up the idea that students need social and emotional skills to succeed. Schools around the country are trying to figure out how best to teach those skills. For our series How To Raise A Human, NPR's Selena Simmons-Duffin looks at a resilience curriculum designed to prepare students for the tough middle school years. SELENA SIMMONS-DUFFIN, BYLINE: It's a warm evening in the Cresthaven Elementary School library. Gathered here are six students from Silver Spring, Md. They're in fifth grade and have just completed the Resilience Builder Program. They're here to share what they've learned and get certificates. Their parents are here to cheer them on. Most are immigrants from all over - West Africa, Latin America. MARY ALVORD: Hi, I think we're going to start. SIMMONS-DUFFIN: Psychologist Mary Alvord stands up front for a little presentation. She's been developing this program for decades. The room's quiet. The moms and dads pay close attention. ALVORD: What is resilience? Resilience is the ability to adapt, not just to hardship but everyday challenges. SIMMONS-DUFFIN: Parents already know some of this. Their kids have been bringing home their binders, writing in their success journals for 12 weeks now. And they know that their kids were selected for this program because they were having a tough time in school with things like bullying or self-control. In the program, the students learn lots of tools to respond to these challenges. ALVORD: And the main goal for the Resilience Builder Program is to prepare them for middle school. It's a big transition, big change. SIMMONS-DUFFIN: And, Alvord tells me, in middle school, the pressures really kick in. ALVORD: Substance abuse becomes an issue. Sexuality becomes an issue. Social media has really complicated things now. And, you know, we worry about depression with teens. SIMMONS-DUFFIN: In the library, she ticks through some of the tools she's taught the students. 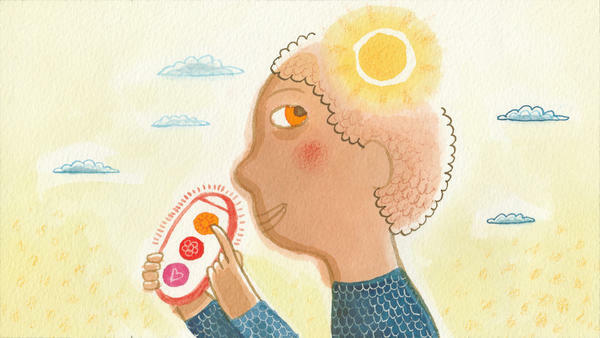 For example, she tells them to imagine a remote control they can use to change their negative thoughts. She shows a drawing. The buttons say things like happy place and things thankful for. SIMMONS-DUFFIN: They also worked on social skills. Up at the front, one student, D., demonstrates the personal space bubble. We're only using first initials to protect the students' privacy. D.: You put your hands out, and then you make - and you spin around in a circle. And when someone is, like, near you, and you tell them to, like, get away a little bit because I need my personal space. SIMMONS-DUFFIN: Another student, M., said he wants to keep working on his conversation skills. M.: To not cut into conversations and to let people finish their sentences. SIMMONS-DUFFIN: The thinking is when students learn to respect personal space and listen well, it can bolster their sense of empathy and their self-control, which can make their friendships stronger. Then when a challenging situation comes up, they have friends and self-regulation skills to get them through. One by one, the students come up to receive their certificates. UNIDENTIFIED PERSON: I'd like to present a certificate of achievement for all your hard work. SIMMONS-DUFFIN: Research on programs like this shows clear and lasting benefits. An analysis published last year in the journal Child Development reviewed dozens of programs involving more than 97,000 students. It found that participants were 11 percent more likely to graduate from college and less likely to have mental health problems or be arrested than students who never went through those programs. In Australia, Canada and the U.K., social and emotional learning is already being implemented on a large scale. Here in the U.S., it's been slower to catch on. With all the mandates that schools have to keep up with, social-emotional learning gets moved to the back burner. But Cresthaven Elementary was hungry for it. MARINA SKLIAS: This is amazing because it's very interactive. It's very different. It's hands-on. SIMMONS-DUFFIN: Marina Sklias is the Cresthaven's school counselor. She selected the students who took part, students who might be at risk for developing more serious psychological or emotional issues down the road. She says especially in a high-poverty school like this one, there's only so much she can do as a school counselor. SKLIAS: Oftentimes, I refer students for counseling and parents request counseling. But due to financial situations or transportation issues, parents can't always follow through. SIMMONS-DUFFIN: Sklias would love to offer this school-wide. Dr. Mary Alvord would love that, too. She's starting a nonprofit to scale up the Resilience Builder Program. Now the funding mostly comes from her private practice. She's also getting ready to publish a study that measures how well it works. And she's excited by some early results that show the program's helping kids academically. ALVORD: Because it all goes together. If you're not struggling with relationships or teasing and bullying, you have more headspace to give to study, and you're also just more positive. UNIDENTIFIED PERSON: All right. I'll see you tomorrow - OK? SIMMONS-DUFFIN: Back at the Cresthaven library, as the fruit and cheese gets packed up, parents seem really pleased. One mom tells me her daughter used to be nervous all the time, and now she's noticed a real difference. Her daughter, B., agrees. B.: They help me solve problems with my close friends and not get as mad at my friends as I used to. SIMMONS-DUFFIN: And she can take her new set of problem-solving tools with her to middle school next year and beyond. Selena Simmons-Duffin, NPR News. Transcript provided by NPR, Copyright NPR.